Alastair and his sister Agatha hatch at Pete's pet shop and have a rocky upbringing. Luckily, they have a fledging doctor, 11-year-old Fritz, who works in the pet shop and gives them more attention than Pete, who just wants to get his money's worth out of them. There are guinea pigs and other animals who have quite an active social life in the pet store, and occasionally some of them get out with 80-year-old Bertie Plopky, who has events for seniors to mingle with pets. Bertie is lonely, and writes letters to her husband, since her son is away, and eventually buys Alastair, although Fritz wishes he had the money to have a parrot of his own. Things do not go smoothly, although Bertie and Alastair eventually start to understand each other. Unfortunately, Alastair tries to escape, and Bertie falls and breaks a hip while waiting for him to return, which makes Bertie go to the Prickly Pines nursing home, which ends up being a decent fit after all. 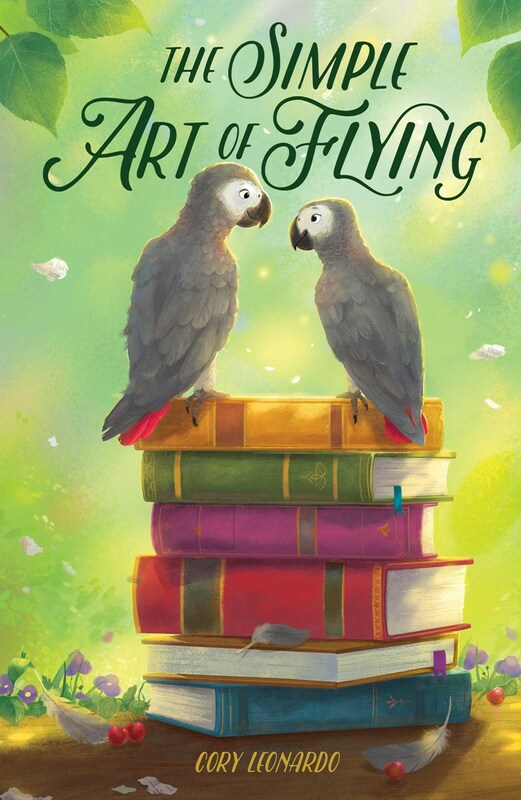 Strengths: Readers who enjoy books like Woodrow's Field Tripped, Birney's Humphrey books, Reiche's Freddie the Hamster, Hale's Class Pets series or Selfors' Wedgie and Gizmo will enjoy the hijinks of Alastair and his friends. I was kept reading by Bertie's adventures, and Fritz was also an intriguing character. Weaknesses: This starts out with Alastair's poetry, which combined with talking animals (my bête noire!) made my stomach sink, but really went uphill from there. Griffin's When Friendship Followed Me Home do okay. I think it might be because my students don't have one classroom, but have a schedule where they have a different teacher for each subject. Would purchase for elementary school.